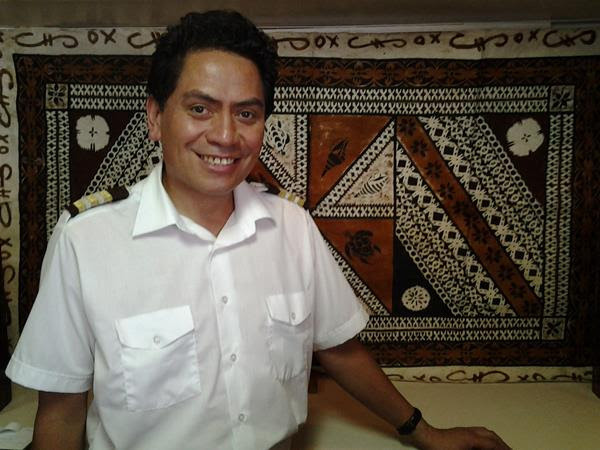 Captain Cook Cruises are delighted to announce the appointment of a new Hospitality Manager aboard MV Reef Endeavour. He comes to us with a wealth of knowledge and experience. Clinton Perkins is a small ship veteran with a love of the islands. He is a New Zealander with a keen sense of heritage and adventure. "My aim is to contribute to the growth and development of Captain Cook Cruises Fiji by sharing my internationally gained knowledge and experience with all team members achieving the highest level of guest satisfaction. Only good things can come from combining luxury and passion"
The Reef Endeavour family bid a fond farewell to Florian for now. His energy and passion for the "village" that is Reef Endeavour and the destinations we visit will be sadly missed. We hope he will return again in the future.